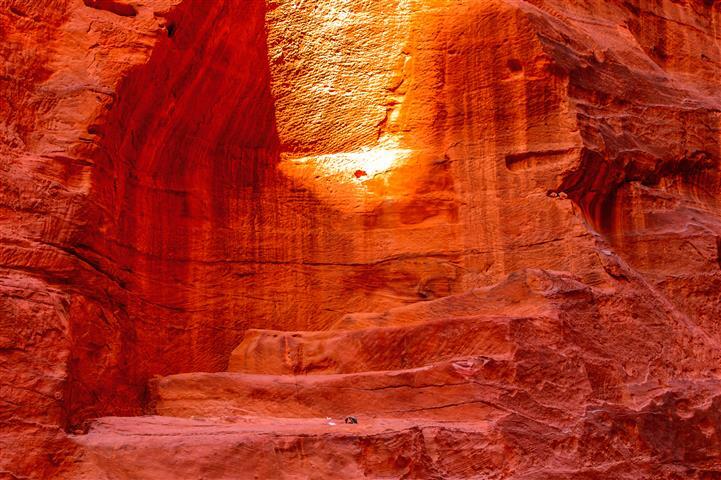 From your hotel or from the airport at 09:20 a.m. you will be taken to the Arava border, you will be met and assisted by one of our professionals, then continue to Petra. Arrive at your hotel for dinner and overnight. Breakfast at the hotel. 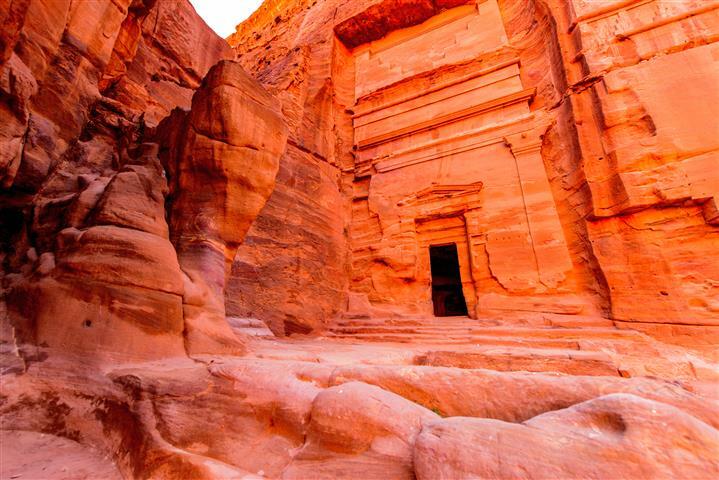 You will then take a fascinating tour to admire the natural beauty and breathtaking architecture of this ancient city with your guide, walk through the Siq to the Treasury, the Nabatean Roman Theater, and the Roman road (Cardo) to the basin. 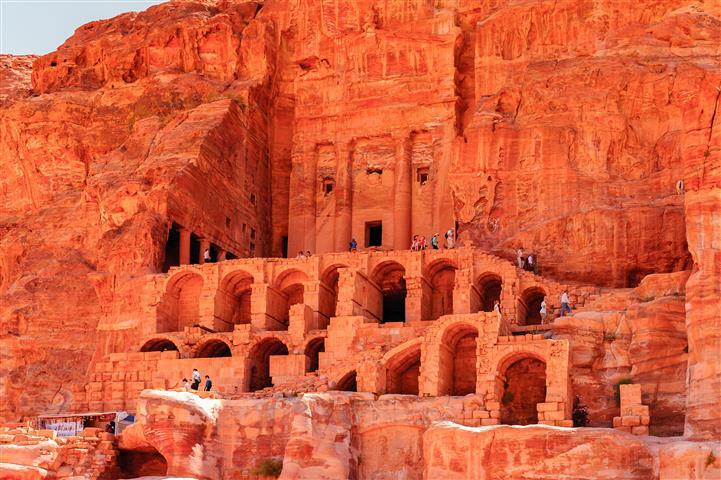 Continue to your Petra with your guide to see the tombs, the amazing facades, and the temples. Climb to the Monastery,then back to your hotel for dinner and overnight. Breakfast. 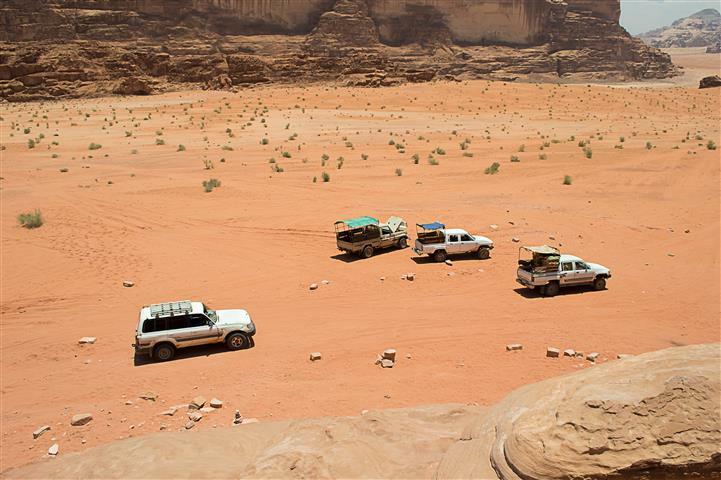 Proceed to Wadi Rum, the largest and most magnificent of Jordan’s desert landscapes. Jeep tour for 2 hours. Tour the desert, and see how the Bedouins live. Dinner and overnight at Bedouin Camp. 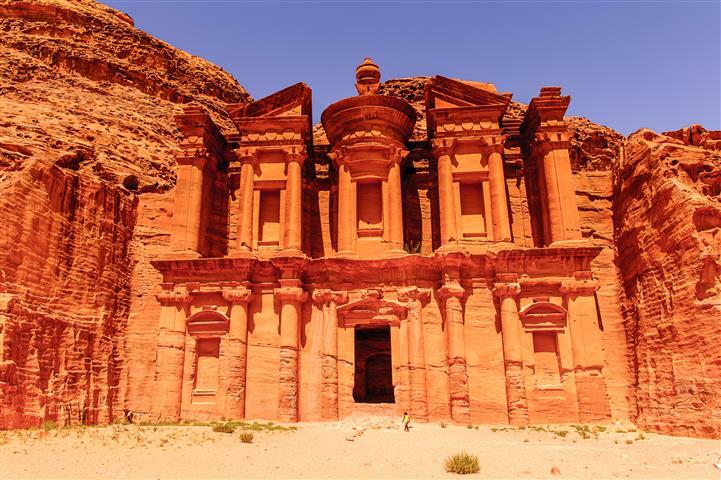 Breakfast, and transfer to Aqaba for short panoramic tour, then you will be dropped off at the Arava border, and proceed to your hotel or the airport in Eilat. Hotel accommodation on B/B basis (3star hotel). $65 special fee for crossing Israel-Jordan border for over-night tourists. Voucher and visa/tax/tip money, in cash (payable in U.S. dollars, Euro, Pound Sterling or Israeli Shekel). Very warm clothing in winter. Cool comfortable clothing and head covering in summer.